...and you are officially BACK! Woohoo!! yessssssssssssssssssss!!! let's get a pumpkin spice latte together sometime! i mean it, i miss you LOTS and am guessing on oct 5 (scheduled c-section) there might be a little less time to sit quietly together over coffee. :) love you jenny! Hmmmmmmmmmmmmmm love love love this time of year! 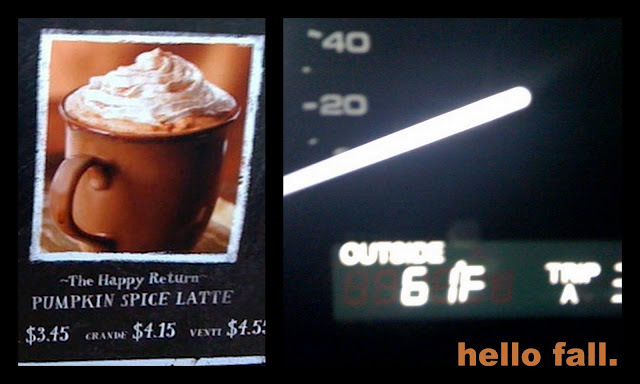 wish they were around all year long... but really punctuate the season when they finally show up at starbucks!